A gift card from Elzinga Farm & Greenhouse is the gift that keeps on giving! 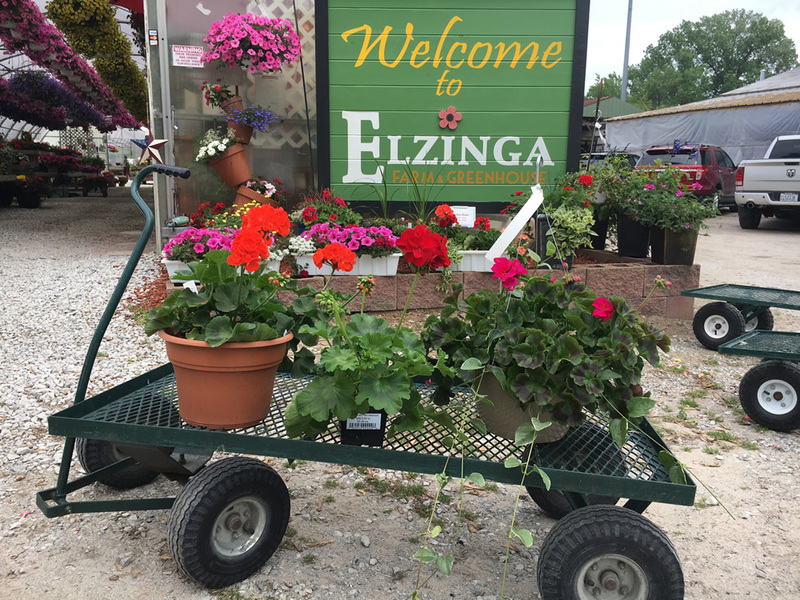 Whether used for garden décor, flowers, vegetable plants to start a garden, or anything from Elzinga’s, spring or fall, a gift card is a great gift for teachers, coaches, or grandparents and a thoughtful way to allow someone to choose just what they need. You can purchase a gift card three ways: 1) Visit Elzinga’s during one of our seasons, 2) Call us at 219-865-1181 to place a gift card order, or 3) Purchase a gift card online (below). Elzinga Gift Cards can be purchased in any increment over $10.00. Our gift cards do not expire and can be used during either the Elzinga spring or fall season. Any unused amounts will be issued as a store credit. All purchases made with a gift card are returnable for store credit only. Phone order and online order gift cards are sent through the United States Postal Service, so we suggest ordering 7 days prior to your intended delivery date. Phone order and online gift card purchases will include a $2 processing fee. Gift cards can be sent directly to the recipient, either in a plain envelope or with a greeting card ($3.99 additional). To purchase your gift card online, click on the one of the purchase options below – Regular Gift Card Purchase or Gift Card Purchase + Greeting Card, which includes a greeting card with your short message to the recipient for an additional $3.99. You will be directed to the PayPal checkout where you will then enter the amount you desire for the gift card. A $2.00 processing fee will be added to your transaction for either gift card option. If you wish to purchase more than one gift card, you will need to make separate transactions by returning to this page after making each purchase. 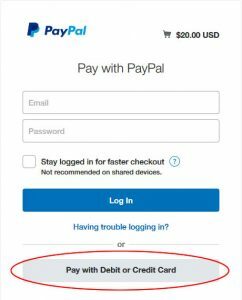 It is not necessary to have a PayPal account to purchase your gift card. Just select the “Pay with Debit or Credit Card” option (example shown at right) while checking out. If you want the gift card sent directly to the gift card recipient, please be sure to uncheck “Ship to my billing address” during PayPal checkout and then enter the recipient’s name and address information in the “Shipping address” fields. 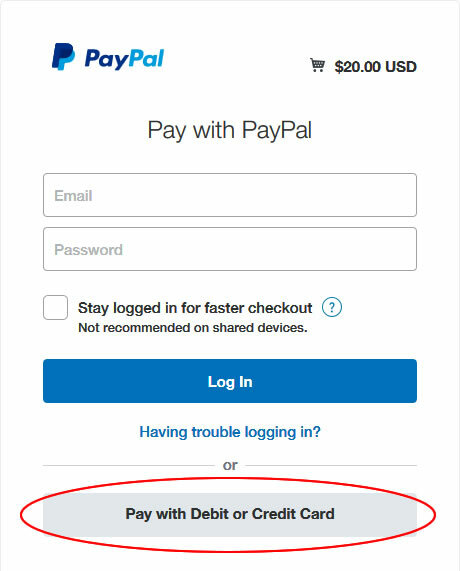 If you have questions or need to relay special instructions for delivery of the gift card after your purchase, please contact us, indicating the PayPal transaction number shown in your purchase confirmation email.